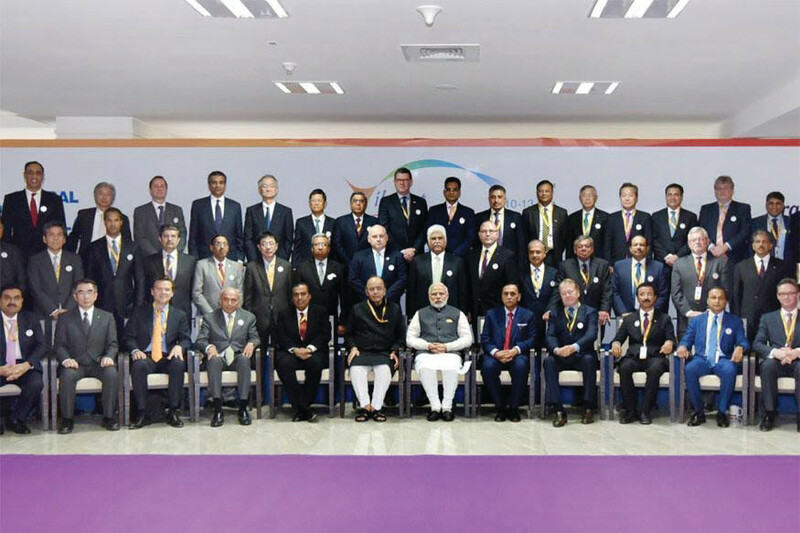 Prime Minister Modi with a section of the delegates to the Vibrant Gujarat Summit last week. Inaugurating the summit, Modi said that the digital economy had “played key role” in transforming hardship-based governance to system-based governance, discretionary-based administration to policy-based administration, and informal economy to formal economy. 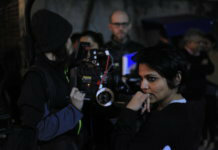 “Digital technology has played a key role. I often say that e-governance is easy and effective governance. We need quality driven governance,” he said. The global summit witnessed over 74,000 registered delegates, including 2,734 international delegates from over 100 countries and 33,000 participants, according to an IANS report. There were 51 meetings of delegates with the chief minister and the deputy chief minister. As many as 350 VVIPs attended the event including presidents of Rwanda and Kenya, prime ministers of Portugal and Serbia, deputy prime ministers of Poland and Russia, 14 ministers and diplomats from 20 countries. The inaugural session, chaired by Modi, was attended by India’s top corporate leadership and leaders of world’s top multinational companies. Among the top world corporate leaders attending the summit included David Farr of Emerson Electric, Toshiro Suzuki of Suzuki Motor Corporation, Peter Huntsman of Huntsman Corporation and John Chambers of the Cisco group among others. The partner countries at Vibrant Gujarat 2017 included U.S., Canada, Denmark, France, Japan, The Netherlands, Singapore, Sweden, and U.K. Among the nine eminent CEOs, who addressed the participants and delegates at the summit were Ratan Tata, Mukesh Dhirubhai Ambani and Gautam Adani. The partnering organizations for the event included some of the world’s top associations like The British Council, the U.S. India Business Council, Japan External Trade Organization and the Australia India Business Council, among others. News Reports quoting senior government officials said over 25,000 MoUs (memorandum of understanding) were signed during the four-day summit at Gandhinagar, including an agreement with aircraft manufacturer Airbus to set up an aerospace and defense cluster at Dholera that will initially manufacture helicopters. Declaring his ambition to bring about a paradigm shift through a series of historic changes, Modi reiterated the government’s commitment to reforms and projecting India as a bright spot amid global gloom after having emerged as the world’s fastest-growing economy. “We are seen as the engine of global growth,” Modi said at the opening. “World Bank, IMF and other institutions have projected even better growth in the coming days,” he said. Peter Huntsman, chief executive of U.S. chemical maker Huntsman Corp. said the company was making a real bet on India. “We are making a real bet on the country. What we are seeing with Prime Minister Modi is really some substantive change, it’s more than lip service,” Reuters news agency quoted him as saying. Huntsman said his company, which sells products ranging from adhesives to industrial inputs, is doing “preliminary analysis on what may end up being several hundred million dollars worth of investments in India,” according to the Reuters report. In his address at the closing ceremony, state Chief Minister Vijay Rupani said the event would help establish Gujarat as the gateway to Indian economy. He said the summit would once again enhance Gujarat’s reputation as an ideal investment destination, for delegates who came from across the world would go back home as brand ambassadors of the state. “After seeing the reality of the state, they would definitely speak well about Gujarat and India,” he added. Previous articleWhat Exactly Happened On January 26, 1950?